Microscopy refers to the practice that involves the use of a microscope for the purposes of observing small scale structures that cannot be viewed using the naked eye and often cell staining is necessary as structures are difficult to discern due to insufficient contrast. Cell staining is a technique used for the main purpose of increasing contrast through changing the color of some of the parts of the structure being observed thus allowing for a clearer view. There are a variety of microscopic stains that can be used in microscopy. First of all, staining can be in-vivo or in-vitro. 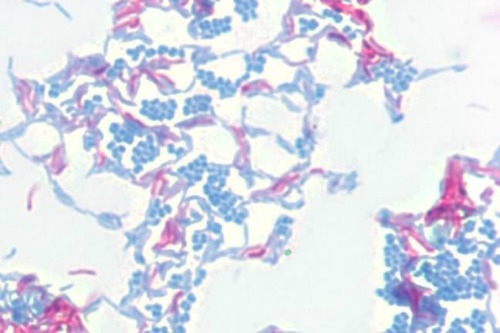 The difference between these is that whereas In-vivo staining refers to the staining of a biological matter while it is still alive, in-vitro staining refers to a staining technique where the biological matter is non-living. The following are common stains explaining techniques, preparations and procedures for each. These are two stains used in the examination of thin slices of biological tissue. 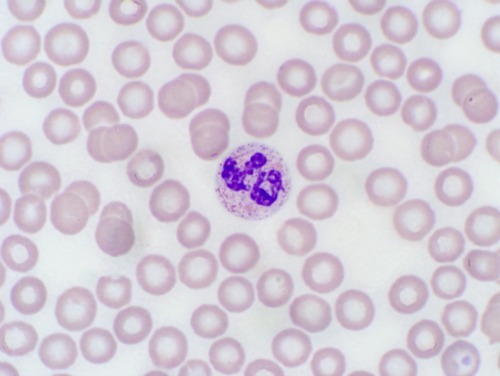 Contrast is created by the stains where Haematoxylin turns the nuclei blue while eosin turns the cytoplasm as well as other parts pink or red. 4- Add 1 gram of crystal. Whereas alum is the mordant, thymol prevents fungal growth. 1- Measure 10 grams of eosin crystals and add to mix in 1000ml of hot tap water (70- 80 degrees). This should be mixed to dilute and stored in a dark flask. This can be used directly. ACCUMATE differentiating solution is made ready for use. A substitute of Scott's Tap water is prepared through mixing a part of Scott's Tap water substitute concentrate with 9 parts of deionized water. This is then followed by filtering papanicolaou staining system reagents before use. 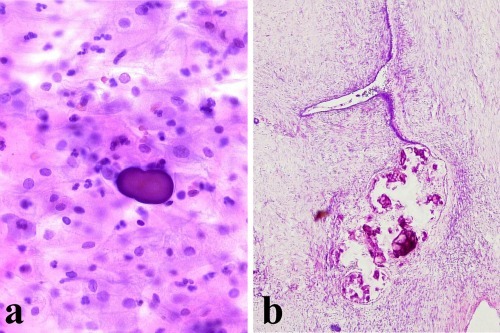 a) Presence of a psammoma body in absence of atypical cells in cervicovaginal smear (Papanicolaou stain, 200×); b) Serous ovarian cystoadenofibroma with parietal psammoma bodies (Hematoxylin and Eosin, 100×). Acid fuchsin is a magenta red acid dye that is largely used for plasma staining whereas basic fuchsin is a magenta basic dye largely used to stain the nucleus. The technique is also referred to as acid fast staining. The acid fast bacteria have a waxy substance (mycolic acid) on their cell wall that makes them impermeable to staining procedures. The term acid fast is used since they resist decolourization with acid alcohol. Carbol fuchsin, the primary stain contains phenol, which helps solubilize the cell wall whereas heat is used to increase the penetration of the stain. On using alcohol to decolorize, cells will be decolorized except for acid fast ones. Methylene blue is used as the counterstain to counterstain any cell that was decolorized. 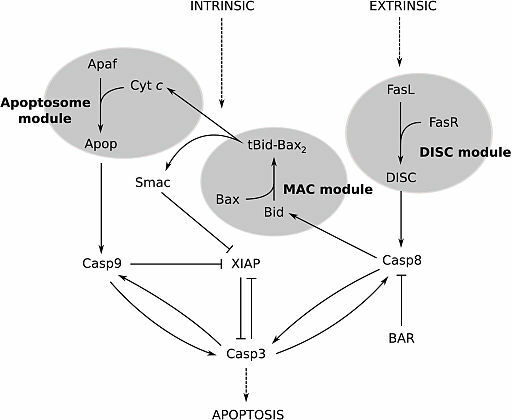 At the end of the procedure, acid fast cells remain red/pink while non-acid fast cells retain a blue color. This is a Romanowsky type of metachromatic stain that is prepared by mixing specially treated methylene blue dye with eosin. 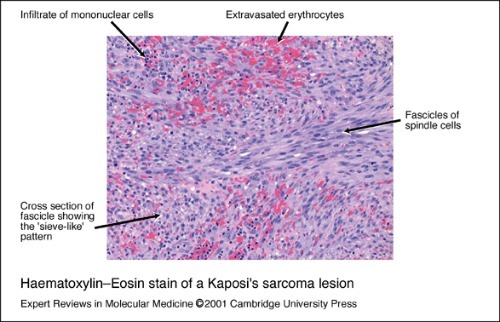 The acidic portion of the stain unites with the basic components of the cells such as hemoglobin, and thus they are referred to as eosinophilic and are stained pink or red. The acidic components of the cell, such as the nucleic acids on the other hand take the basic dye and stain blue or purple. PH has to be controlled using a buffer of 6.4 to 6.7 to avoid poor staining. This is one of the most common staining techniques. 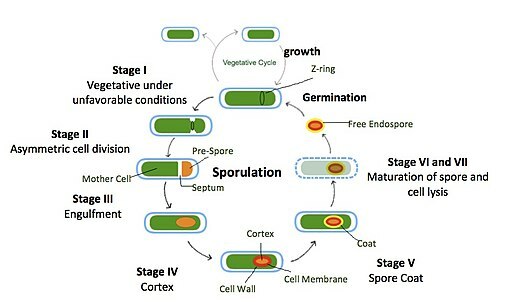 It is largely used to differentiate bacteria species as either gram positive or gram negative. This is achieved through the chemical properties of bacterial cell walls, where different colors are displayed after staining. This technique is based on the fact that the gram positive cell wall has a strong attraction for crystal violet following the addition of iodine as compared to the cell wall of gram negative. Iodine is the mordant, and forms a complex with crystal violet, which is easily washed off from the gram negative cell wall using ethyl alcohol. Cell staining in Microscopy is useful and necessary to highlight those structual elements of your sample/specimen to be properly observed. There are others that MicroscopeMaster may cover in the future so bookmark this page and revisit to see further staining information. MicroscopeMaster Picks for Cell Staining here. Learn more about Cell Culture, Cell Division, Cell Differentiation as well as Tissue Culture Types and Techniques. And take a look at the reasons to consider purchasing a Microscope Staining Kit. 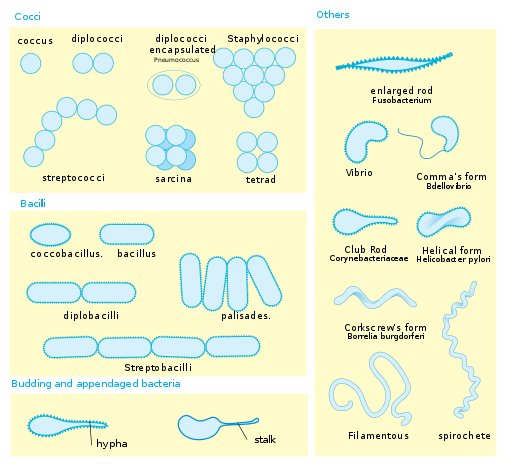 Take a look at specific Organelles. You can learn about Prepared Microscope Slides too. Check out Beginner Microscope Experiments for ideas. Delisle, G., and L. Tomalty. 2002. Mycobacterium tuberculosis. MicrobeLibrary, American Society for Microbiology, Washington, DC.